Open Plateform Truck for Container Movement.We also provide logistics services for all types of import/export Container from any and every port to any and every part across the country for freight forwarding services. 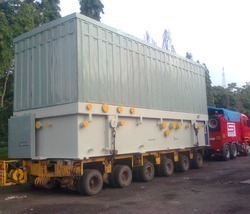 Open Platform Body for 20 & 40 Feet of Container movement to any Port Of India. We are indulged in providing Container Movements under the experienced guidelines of our experts. With a good network of Professional Service providers we can handle the movement of cargo from Port to Port and besides handling chartering services, from identifying suitable Companies to complete Documentations. KLG Shipping Services as one of the leading Custom Clearing Agent in CustomsBROKERS Industry in India from 1998. Have associated private container train operators to connect port to hunter lane locations in cheaper and faster way like Adani, DLI / CRRS etc. Service Provider of Container Transportation Services - Container-20ft 40ft Service, Flat Rack Container- Any Sizes Of Cargo Service, 20' -40' Ft Long Trailer ..
We are a leading provider of ground-based container handling services. We provide cost-effective and safe solution for many transport and haulage situations. We acquire right products, adequate experience and effective solutions as to container movement. The Company also organizes road transport for domestic containers. Our company provide Containerized movement of White Goods and other material as per customer requirements. In order to grab the higher position of the industry, we offer a wide range of Transformer Movement Service. Transport on roads can be roughly grouped into the transportation of goods and transportation of people. ... Delivery services are sometimes considered a separate category from cargo transport. In many places fast food is transported on roads by various types of vehicles. We accept all type of Part load and Full load (FTL) Booking from Faridabad Delhi NCR to Pune and pune to Faridabad, Ghaziabad, Noida and Delhi NCR. 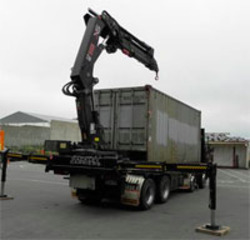 Whether you require a flatbed for Import or Export container movements, our reliable team have the expertise and the equipment to suit your needs. Open Plateform Trailor for Container's. We also provide logistics services all types of import/export Container and from port to desired place.